Phoenix Wright fans rejoice. It has been eight years since we last saw the popular lawyer take the stand as the starring role in hisAce Attorney series.The latest in his game series now officially has an English title and trailer to back up the announcement. Ace Attorney 5: Dual Destinies has been confirmed by Capcom to be getting a fall release this year, but there is just one catch. The game will be downloadable only through the Nintendo 3DS eShop. Capcom USA's Senior Vice-President, Christian Svensson, took to the Capcom-Unity forums to explain why no physical release will be issued for the popular series. Sorry guys, but a physical release is not in the cards. Historically it's been tough to attract long term retail support for Ace Attorney titles. With the release of Phoenix Wright: Ace Attorney – Dual Destinies we wanted as many people as possible to be able to enjoy the game for as long as possible. With that in mind we have opted for a digital only release via the Nintendo 3DS eShop. I understand that this decision may upset fans who wanted to have a physical version of the title to add to their collection but we believe this direction is the best to take. We will be confirming details on the price point in the not-so-distant future which I hope will also shed more light on the strategy at play here. He straight up says that physical distribution is impossible for a niche series. There is no getting around that. Capcom is not willing to physically publish a game that could possibly lose money, and is instead focusing solely on the digital release. It seems gamers are still sharply divided about digital distribution. The fact that it exists is ok, but when series start to lose the option of having something physical to buy, then it becomes an issue. Sometimes gamers just want to own a video game and hold it in their hands, and sometimes it just doesn't matter. Is this controversial progressive thinking making way for the inevitable, or is Capcom jipping a lot of longtime fans out of a box and manual? It might take the deep thoughts of a lawyer to solve that one, and luckily Capcom has that covered. 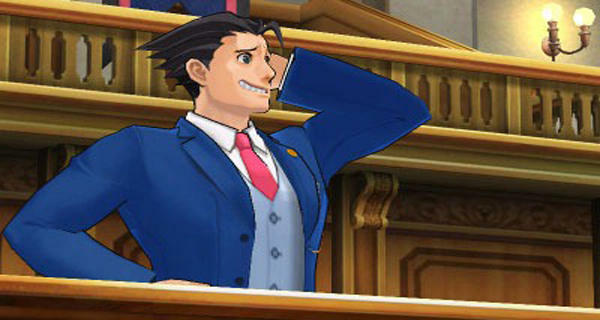 Ace Attorney: Dual Destinies will be released exclusively for the Nintendo 3DS this fall. More to come on an exact date and pricing in the near future.